Child-friendly? Recommended for ages 5 and up. Mars may need moms, but do they need our wives? Unfortunately, in the latest CGI flick to hit the big screen, they don't. Oh well – there's always next time. Mars Needs Moms revolves around a young whippersnapper named Milo (voiced by Seth Green) who is, naturally, mad at his mom. Weren't we all at one point or another? It seems as soon as we got old enough to take the training wheels off of our bikes, we wanted a say in how we went about our day. It wasn't until we became dads that we discovered the truth about parenting – yes, it's wonderful, but sometimes it's about as fun as spring cleaning or convincing our significant other she's doesn't look fat in those skinny jeans. Of course, Milo doesn't know any of this, and one day becomes pretty peeved when his own mama lays down the law. Nevertheless, when she's kidnapped by aliens, he stows away on the spaceship in order to save her. Once on the red planet, he realizes that strange creatures are using the caring woman to harvest her DNA and infuse it into their own homegrown mothers. It sounds seriously sci-fi, but the truth is that it's as child-friendly as a teletubby cradling a puppy. Mars Needs Moms isn't one of the best films to be released this year, but it's decent enough to give it a whirl. In the meantime, to all the aliens out there – take our wives, please! Child-friendly? Mars Needs Moms tells the story of a young boy who finds himself on Mars and does his best to save his mom from the aliens who want her DNA. 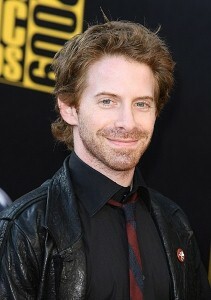 Seth Green voices the main character and Joan Cusack lends her voice to the mom. The film contains animated scenes involving intense action. Recommended for ages 5 up and up.